Individual lists of publications are placed at personal pages of Teachers and Students - cf. "People"
Evdokimov I.N., Fesan A.A. True Size of Asphaltene Monomers. Proceedings of the International Sci‐Tech Conference “Achievements, Problems and Development Perspectives of Oil and Gas Industry”, Almetjevsk, Tatarstan, 2016. pp. 132‐134. I.N. Evdokimov, A.P. Losev Settling Properties and Fractal Dimensions of Aggregated Water Emulsions in Native Crude Oils. Journal of Dispersion Science and Technology, 2015, V.36, Iss.1, P.32-40..
I.N. Evdokimov, A.P. Losev Microwave Treatment of Crude Oil Emulsions: Effect of Water Content. Journal of Petroleum Science and Engineering, 2014, V.115, p. 24-30. <>I.N. Evdokimov, A.P. Losev Thixotropy in Native Petroleum Emulsions.Journal of Dispersion Science and Technology, 2011, V.32, Iss.8, P.1206-1212..
Petroleum Science and Technology. 2010, V.28, Iss.13, P. 1351-1357. Evdokimov I.N., Losev A.P. 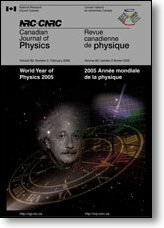 Suggested “New Method for Determination of Dispersity in Petroleum Systems” Is Based on Trivial Experimental Artifacts. Evdokimov, I.N., Efimov Y.O., Losev A.P., Novikov M.A. Morphological Transformations of Native Petroleum Emulsions. I. Viscosity Studies. Evdokimov I.N. Phase behaviour of asphaltenes in petroleum disperse systems. In: Physical and Chemical Properties of Petroleum Disperse Systems and Oil-and-Gas Technologies. 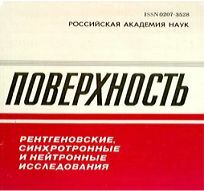 Moscow-Izhevsk, ICS Publ., 2007, pp.237-244. Evdokimov I.N., Novikov M.A. Structural features of industrial water-crude oil emulsions. Microwave studies. Chemistry and Technology of Fuels and Oils. 2007. V. 43, No.1, P. 46-50. Evdokimov I.N., Losev A.P. Features of analysis of associative hydrocarbon media. Applicability of refractometric methods. Chemistry and Technology of Fuels and Oils. 2007. V. 43, No.2, P. 140-146. Evdokimov I.N., Losev A.P. Potential of UV-Visible Absorption Spectroscopy for Characterizing Crude Petroleum Oils. 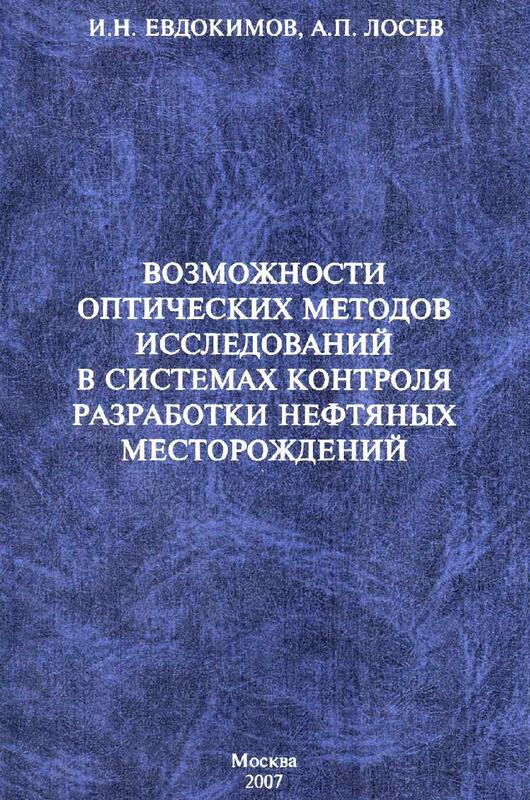 Electronic scientific journal "Oil and Gas Business", Ufa, 2007, 21 p.
Petroleum Science and Technology. 2007. V.25, No.1-2, p.5-17. Evdokimov I.N., Eliseev N.Yu., Losev A.P., Novikov M.A. Emerging Petroleum-Oriented Nanotechnologies for Reservoir Engineering. 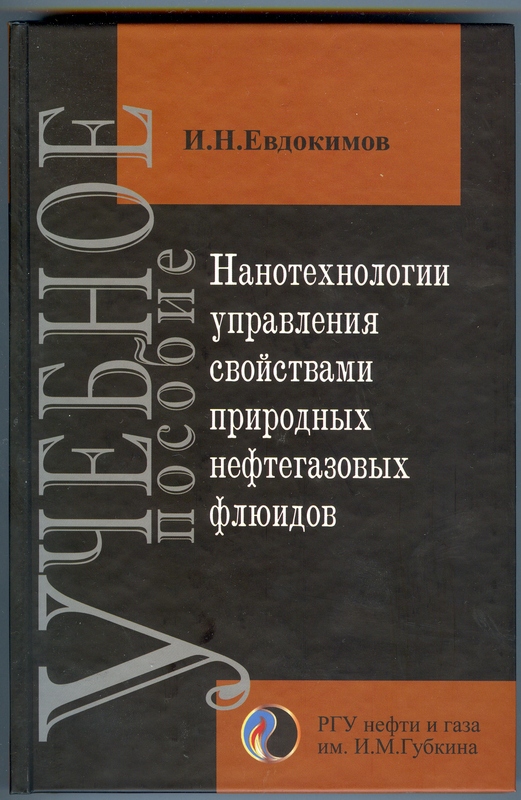 In: SPE Russian Oil and Gas Technical Conference and Exhibition 2006: Technology for world class resources, vol. 1. Curran Associates, Incorporated, West Chester, USA, 2007. p 370-378. Fuel. 2006. V. 85 No. 10-11. P. 1465-1472. Evdokimov, I.; Eliseev, N.; Iktisanov, V. Features of Intermediate Layer Formation in Water-Oil Emulsions. Chemistry and Technology of Fuels and Oils. 2005. V. 41, No.4, P. 300-305. Evdokimov I.N., Eliseev N.Yu. Colloidal Structures of Petroleum Residues Long-Lived in Metastable States. Chemistry and Technology of Fuels and Oils. 2005. V. 41, No.3, P. 230-235. Evdokimov I.N., Eliseev N.Yu., Eliseev D.Yu. Effect of asphaltenes on the thermal properties of emulsions encountered in oil recovery operations. Proceedings of the 1-st International Conference on Modern Challenges in Oil Recovery. (RECOVERY-2003), May 19-23, 2003. Moscow. CD-Rom Edition. Evdokimov I.N., Eliseev D.Yu., Eliseev N.Yu. Negative Viscosity Anomaly of Liquid Petroleum Products after Heat Treatment. Chemistry and Technology of Fuels and Oils. 2002. Vol. 38, No.3, P. 171-177. Akhmetov B.R. ; Evdokimov I.N. ; Eliseev N.Yu. Some Features of the Supramolecular Structures in Petroleum Media. Chemistry and Technology of Fuels and Oils. 2002. Vol. 38. No. 4 P. 266-270. Evdokimov I.N. ; Eliseev N.Yu. Effect of Asphaltenes on the Thermal Properties of Petroleum and Bitumen Emulsions. Chemistry and Technology of Fuels and Oils. 2002, V.38, No.6, P.374-380. Evdokimov I.N., Eliseev N.Yu. Electrophysical Properties of Liquid Hydrocarbon Media. Chemistry and Technology of Fuels and Oils. 2001, V.37, No.1, P.39-43. Evdokimov I.N., Eliseev N.Yu. Characteristics of Viscous Flow of Liquid Media with Resins and Asphaltenes. Chemistry and Technology of Fuels and Oils. 1999, V.35, No.6, P.377-381. Evdokimov I.N., Eliseev N.Yu. Selection of the conditions for the optimum effect of metal-containing additives in oils. Chemistry and Technology of Fuels and Oils. 1991. Vol. 27, No.4, P. 203-205.